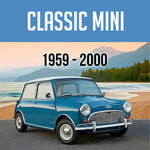 Mini Mania's Don Racine traveled to Australia to race at the Phillip Island Circuit and the Wakefield Park Raceway. Today's track is almost 2.8 miles with 12 number turns. This very modern circuit has been manicured to an extreme with safety and great looks. The viewing areas are extensive with your choice of great grassy areas, bleachers or easy access to the pit areas. Each corner, fast or slow has good run-off area with modern gravel traps, it is hard to find a corner with what could be considered a imposing "don't make a mistake here" visual effect. Sure to be considered by all competitors as a high speed circuit it still includes a number of slow enough turns to keep it fun for all. While the circuit average speed in a MG Midget is around 80MPH, the slowest corners are still best taken in 2nd gear while the front straight is so long that you will run out of RPM (or guts) before it is time to slow down! The track includes it share of uphill and downhill corners as well as the typical blind turns. Just to 'one-up' most tracks the blind turn first goes uphill after a 4th gear straight, continues a hard blind turn as it goes downhill into the slowest turn on the track. You can race like Don, right? These vintage Mini Coopers are built with high quality performance parts that give Don the ability to race around the track at a high level. Luckily, we have what ever it takes to get you Mini to the next level. 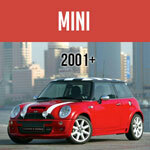 Contact us here at Mini Mania if you're ready for it! Here's to help you get started. NEW Vintage Race Car Services! Interested in more racing? Watch some of our videos! If you're interested in our new Vintage Racing Newsletter, click here.